Listing courtesy of Gayane Yaffa (CalBRE #01922521), Keller Williams Realty. Just Renovated. Ready to go. 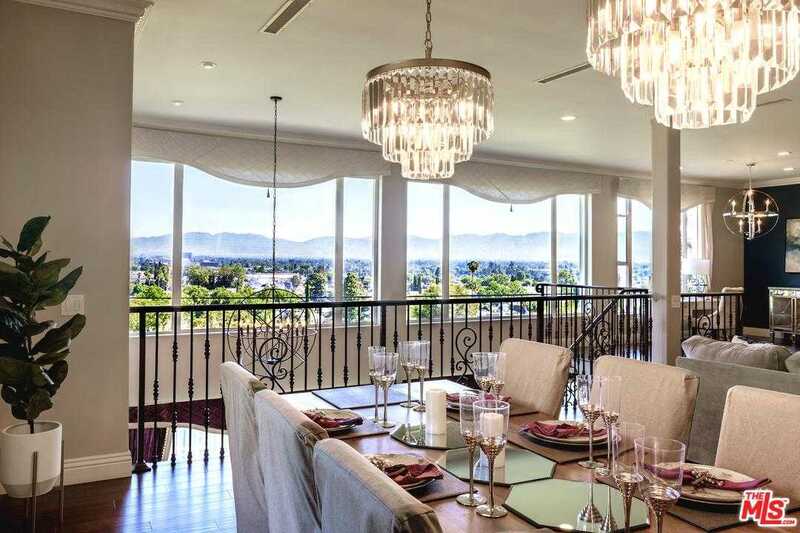 LUXURY residence with amazing VIEWS in the hills of Sherman Oaks. Open living spaces with tons of natural lights & designer touches throughout. Gorgeous Chef’s kitchen with stainless steel appliances, custom cabinetry & family room with romantic fireplace, grand over sized living & dining room all highlighted with recessed lighting & huge windows that bring in natural light through custom drapery. Master bedroom has amazing view,2 walk-in closets, an elegant over-sized master bathroom with dual sink vanity, glass shower with separated jetted tub. Downstairs is complete with secondary master bedroom & 2 other good sized bedrooms Outside there is an entertainers covered patio, designer touch ups, TV, sound system, custom drapery, lights, wonderful updated landscape & fruit trees. To the front you have a beautiful sparkling pool, waterfall, spa, custom built outdoor shower. Huge 2 car garage. Some wall colors were changed. Entertainers dream, One of a kind. Building size: 4460 sq ft. Please, send me more information on this property: MLS# 19454328 – $2,050,000 – 14508 Valley Vista, Sherman Oaks, CA 91403. I would like to schedule a showing appointment for this property: MLS# 19454328 – $2,050,000 – 14508 Valley Vista, Sherman Oaks, CA 91403.